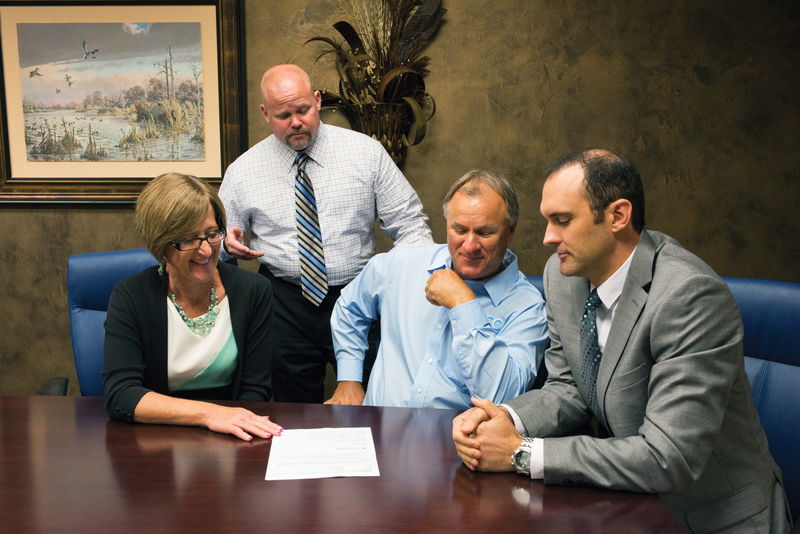 VP/Office Manager Libby McGee, left, VP/Lender Jay Farley, standing, and VP James Waguespack, right, consult with Mike Carlton, owner of Triple C Electric. Allegiance Bank extends a big “thank you” to the Bay Area Community for its first year’s growth and success! How important is it to choose a reliable bank or more importantly a reliable banker? Knowing you have someone you can trust to guide you through your life’s financial decisions is something hard to find today. Remember back in the day when personal service and a familiar face to do business with was the norm? It’s been a long time coming but that concept is alive and well today at Allegiance Bank. VP of Commercial Lending, James Waguespack, left, with Chuck Simmons, President of Bay Area Utilities and well know real estate developer. The bank is founded on the premise of concierge service for everyone, whether you own a large business, a small business or are an individual who just wants to have a banker you can depend on to be there when you need a loan or advice. Allegiance Bank employees offer personal service and if they can’t meet your need, they will direct you to where you can find the interest rates and options you may require. And that philosophy is a part of what has made Allegiance Bank so successful. The kind of success and growth, in just over a year, that Allegiance Bank has experienced is also because of a sincere commitment to its clients in the Bay Area Houston community. Allegiance has assembled a strong team of veteran bankers with a combined 200 years of experience. The staff can make quick decisions and find a solution that works best for their client’s current needs. 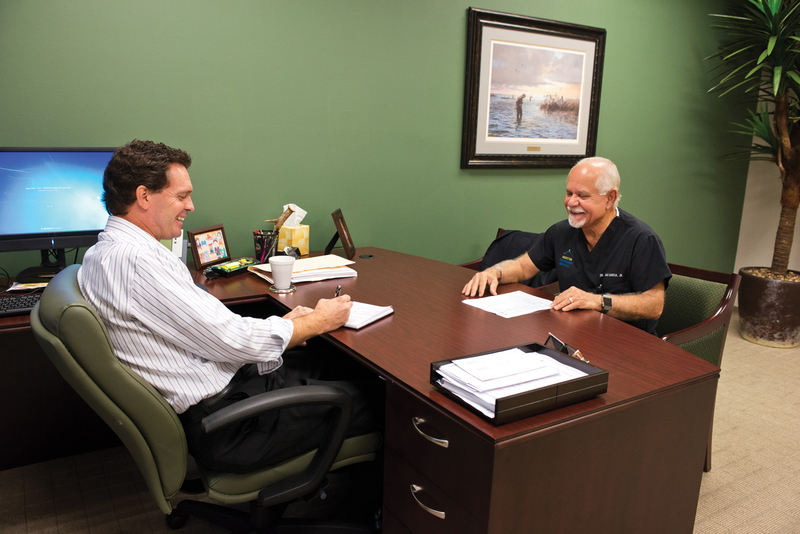 VP Jamie Ballard, left, visits with long time bank customer and highly respected Bay Area Plastic Surgeon, Dr. Jan Garcia, Jr. The Allegiance Bank team has expanded from 7 employees in the beginning to 7 lenders and a total of 13 employees in just a year. The need for a larger staff is a direct result of the phenomenal growth the Bay Area location has achieved due to the support of the community opening accounts and following their bankers who came to Allegiance Bank from the financial industry. The bank started from ground zero last year and now has $35 million in deposits and $100 million plus in loans. That kind of success is because of “allegiance” from the community and a team commitment to make every customer a priority. President of W.M.F. 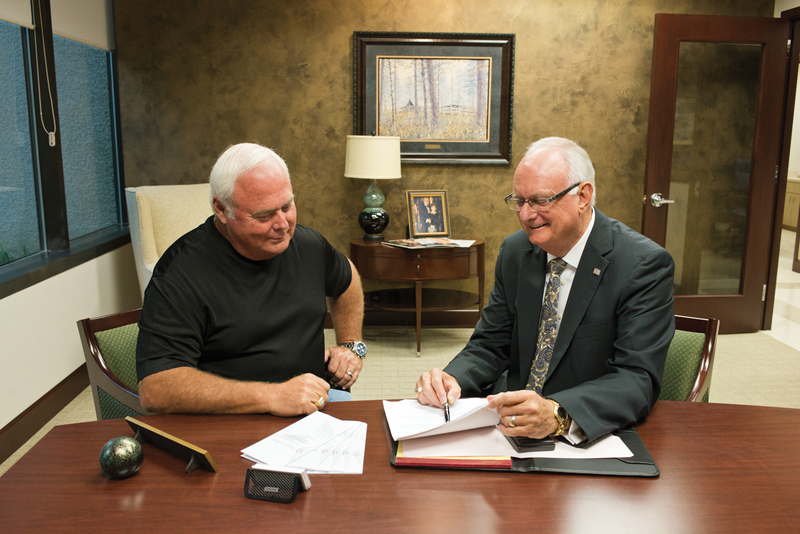 Investments Bill Friedrichs, Jr. discusses his current real estate project with Bay Area Executive Bank President, Frank Law. The Bay Area bank is located at 2200 NASA Parkway, Suite 100. Allegiance offers the services of a large bank but with a hometown attitude. Services include remote deposit capture, allowing businesses to use a small scanning device directly from the convenience of their office; positive pay, an anti-fraud cash management system; real time deposits and a 24/7 ATM for deposits, withdrawals and transfers. Call 281-517-8770 or go to www.AllegianceBank.com for more information about the services Allegiance offers. 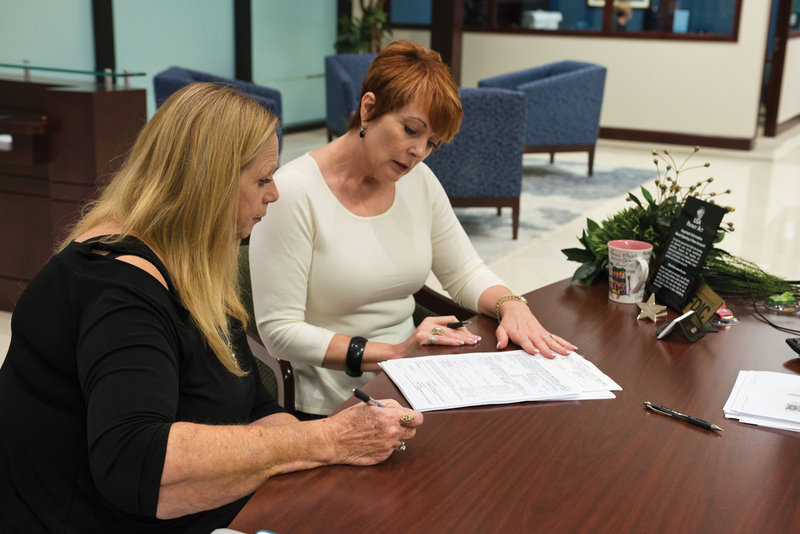 Owner of Clear Creek Equipment Rental, Sally Williams, one of the first Allegiance Bank customers, updates some documents with VP Leslee Farley. 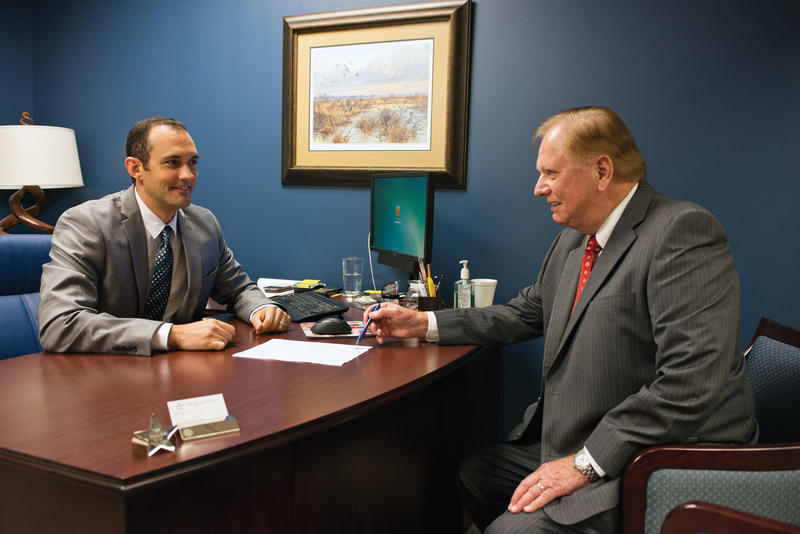 Allegiance Bank was founded in 2007 and has 16 offices in greater Houston and surrounding areas. Allegiance bankers are knowledgeable in all aspects of real estate and business lending, including revolving lines of credit, working capital support, treasury management services and equipment lending. The staff and lenders at Allegiance Bank would like to extend a ‘thank you’ to the Bay Area community for their acceptance and support during this first year. They want everyone to know that they are looking forward to continuing existing relationships and making new ones for years to come.